.htaccess (yes, a nameless file with the extension “htaccess”) is a hidden Apache configuration file. It can be placed in any directory within your website, but the main one is placed in the root folder. It allows you to further protect your website, set redirects and tweak performance. Over the years, I’ve gathered a small collection of .htaccess snippets for the WordPress websites I create. So here’s my handy WordPress htaccess configuration items collection. Note: Lines starting with the hashkey (#) are comment lines, and do not actually do anything. When you’re in the process of building a website for your client, you can use this code snippet to grant yourself and your client access by IP address, while redirecting the rest of the world to a temporary page. Leaving the login page at its default setting is a security risk. By changing this, you make it a bit more difficult for uninvited guests to gain entrance to your WP-admin. I prefer to use the basic domain as default (https://example.com), but if for some reason you prefer to use https://www.example.com as your default domain, you can reverse the redirection. Now, if you visit https://example.com, you are automatically redirected to https://www.example.com. #Header set X-Xss-Protection "1; mode=block"
Keep in mind that if you are using a caching plug-in, some of the settings here will already be written to the .htaccess file by the plugin, and therefore need not be added manually. Increase performance by setting expiration dates on file types. #ExpiresByType text/css "access 1 month"
# causing the stylesheet to be downloaded again, and resetting the plus 1 year. Test this! ExpiresByType text/css "access plus 1 year"
Disabling eTags increases website performance. Enabling gzip compression increases performance. Want to know more about .htaccess? Start .here. This is a live document. I will add new snippets as I come across them. If you have any useful additions, please feel free to post them in the comments! 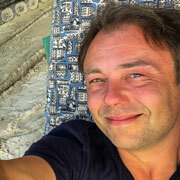 My name is Boris Hoekmeijer, I'm a webdesigner and graphic designer. I sometimes run into a problem for which I have to find my own solution because Google just won't tell me. That's when I climb behind my mechanical keyboard, and fire away until a tutorial materializes. One of the great things about the web: we can all help each other! If this article has helped you, or if you have anything to add or ask, please leave a comment or share the post. Added “Redirect the domain name to the WWW subdomain” snippet.